The VTCT Level 3 NVQ Diploma in Hairdressing aims to provide you with the knowledge and skills that you need to be a hairstylist. The course consists of both mandatory and optional units. The optional units can help you shape your future career. Throughout the course, you’ll be asked to gather evidence of both your practical skills and knowledge to create a portfolio. Learners who complete this qualification are eligible to become State Registered Hairdressers with the Hair Council. 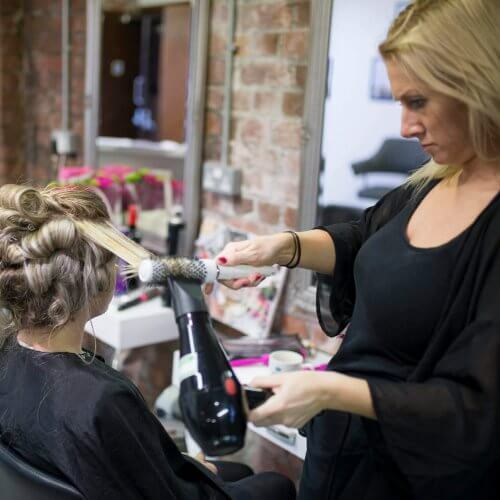 You need 58 credits in total to qualify for your NVQ Level 3 Diploma in Hairdressing. You can get the credits by completing a series of mandatory and optional units. You will be assessed for the course via a mixture of internal and external assessments. You’ll be given an assessment book which must be kept safe and completed to show you have understood and completed all learning outcomes and assessment criteria. Progression leading on to Hair Extensions, Bridal styling and Make Up Pro. Bespoke Refresher courses are available on quotation to meet the individual needs of the student. Working in a commercial hair salon. Worked for the armed services or the prison service. Working on a cruise liner. Working in television, film, theatre or media. You may also wish to move on to a Level 4 qualification. To be accepted on to the NVQ Level 3 Diploma in Hairdressing, you will need to already have a Level 2 qualification in hairdressing. You may also have experience of an apprenticeship in hairdressing. You must also have a qualification in English and Maths at GCSE level. A deposit of £400 is required to secure your place. Refunds are not given unless you give a cancellation notice 7 days before the course is due to start. The Chill out have recommended me to Knowsley Hall for hair and i have done weeding fair with the spa Thank you so much! I enjoyed the relaxed atmosphere. Michelle was a huge help and helped me gain confidence. The teaching. Thanks to Michelle, I’m fully confident in my cutting skills and colour corrections, I now feel like a real hairdresser. Thank you. Working on clients and of course our fabulous tutor!